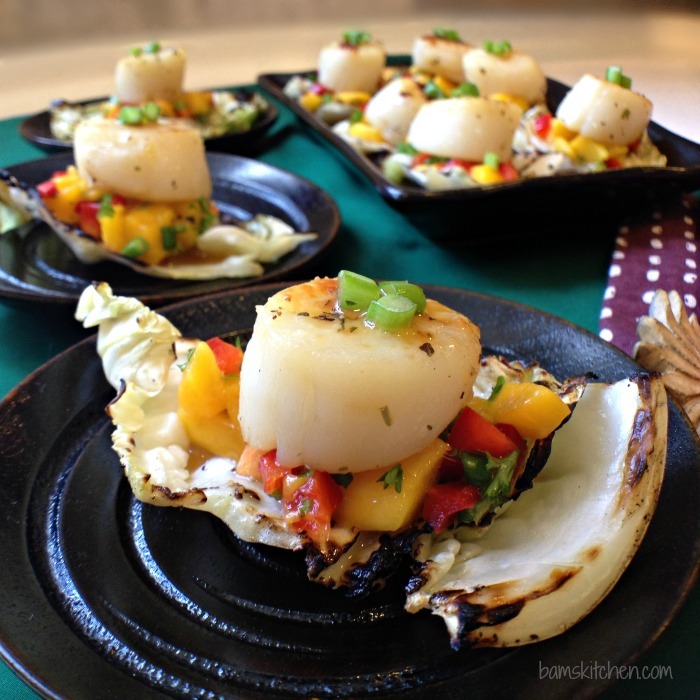 Sweet succulent pan seared Bay scallops nestled in a bed of sweet and tart mango salsa in grilled cabbage cups. 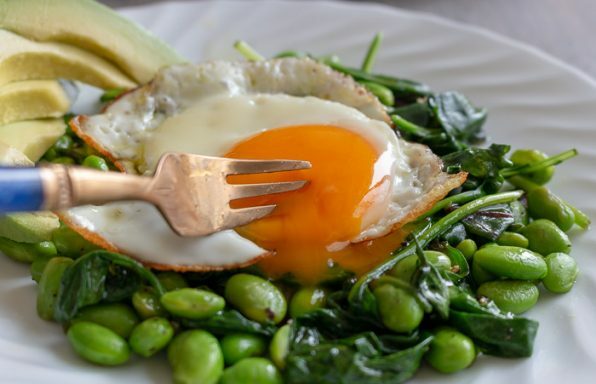 This fun little appetizer or light lunch is gluten-free, lactose free, egg free, cardiac friendly and delightfully simple to make. 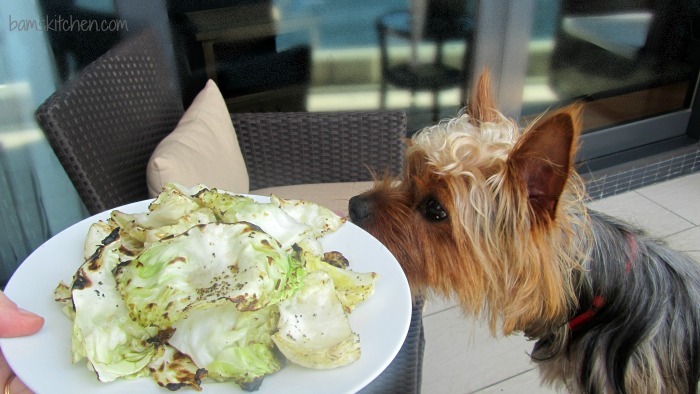 Have you ever eaten grilled cabbage? I just love how it turns the cabbage delicately sweet and slightly crunchy and just the perfect transport device to get the scallop to get from my plate into my mouth. I know many people like to take a wedge of cabbage and grill it but I like to grill the single layers of the leaves with just a simple dressing of light olive oil and salt and pepper. What could be easier?! 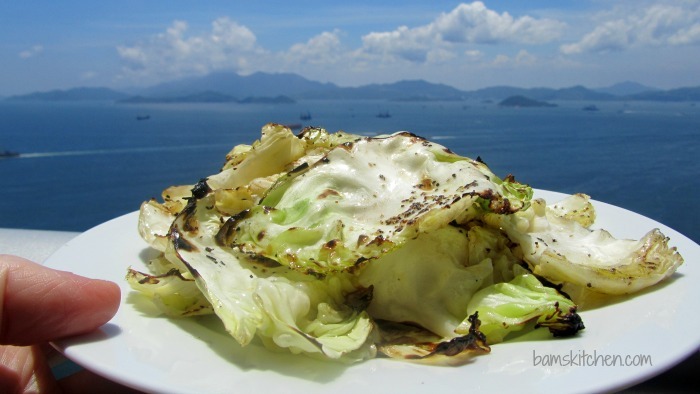 Simple grilled cabbage is a great side dish all on its own. 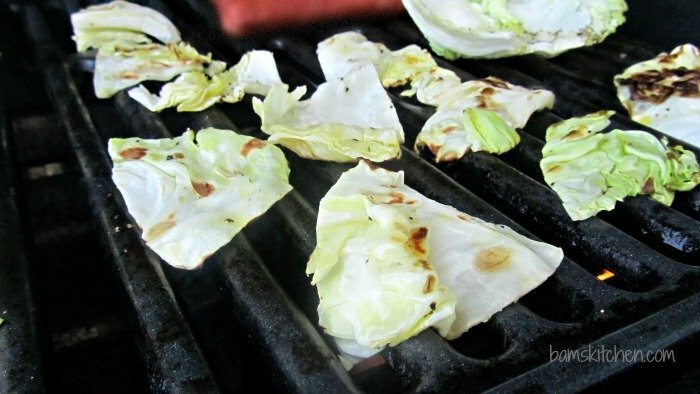 Summer starts off the grilling season and if you have not tried grilled cabbage before or dislike cabbage normally, I promise this dish will turn you around and make you a cabbage lover. 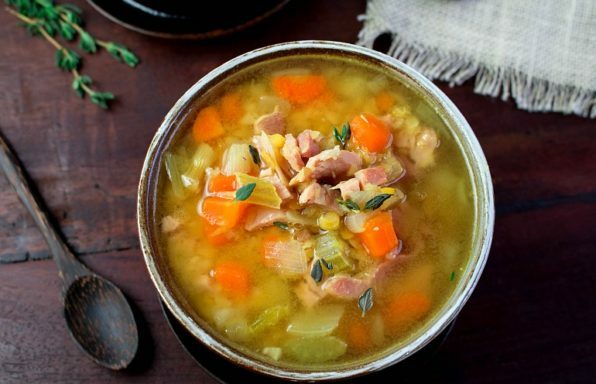 Personally, I am not a huge fan of the usual coleslaw or fried cabbage as in this form cabbage can be slightly bitter. In addition, I do not like brussel sprouts in any way, shape or form. 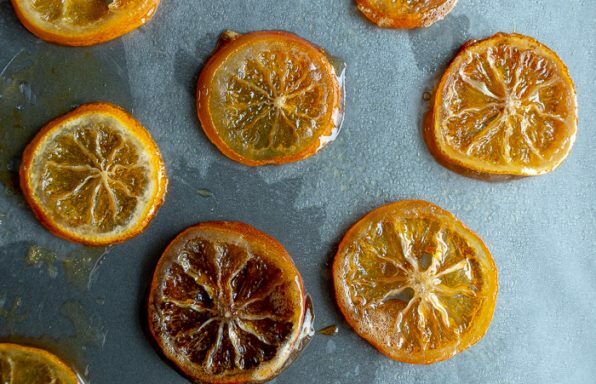 However, the grilling process does something very magical as it brings out its natural sweetness of the cabbage while maintaining the delightful crunch. 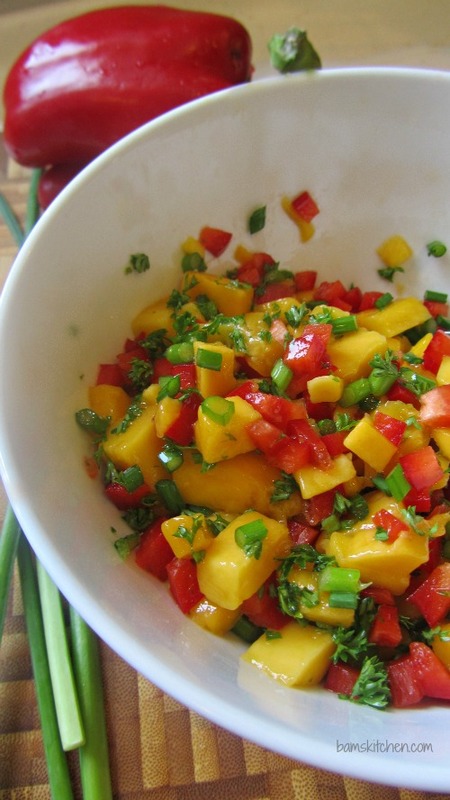 Mangos are in season and what a perfect way to celebrate by making a simple little salsa. I like to buy the little sweet mangos from the Philippines. Fresh mango salsa with a little lime juice, red bell pepper, cilantro and garlic chives was ready to go in 5 minutes. 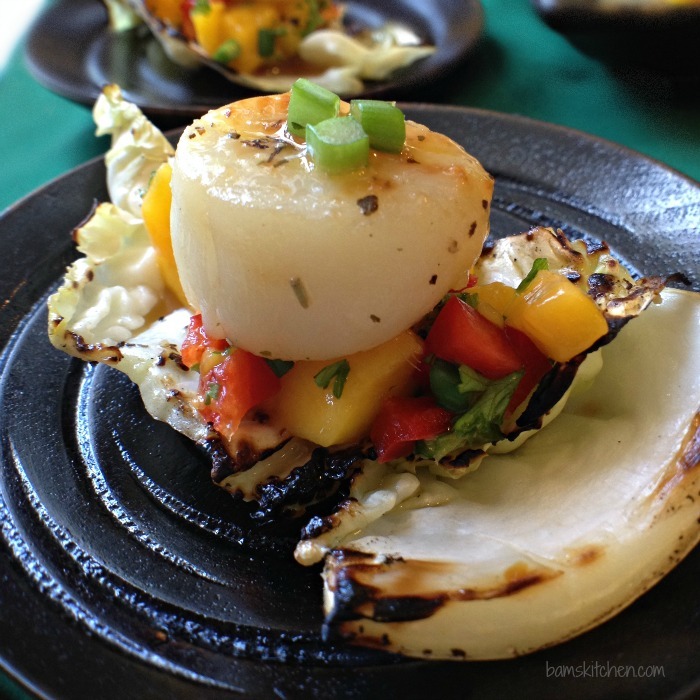 The mango salsa was a nice compliment to the sweet succulent scallops. Scallops take only a minute of two saute on each side and they are done. The secret to the perfectly cooked scallop is to wash them and dry them very well. I seasoned them simply with a little salt and pepper and pan seared my scallops in an iron skillet. 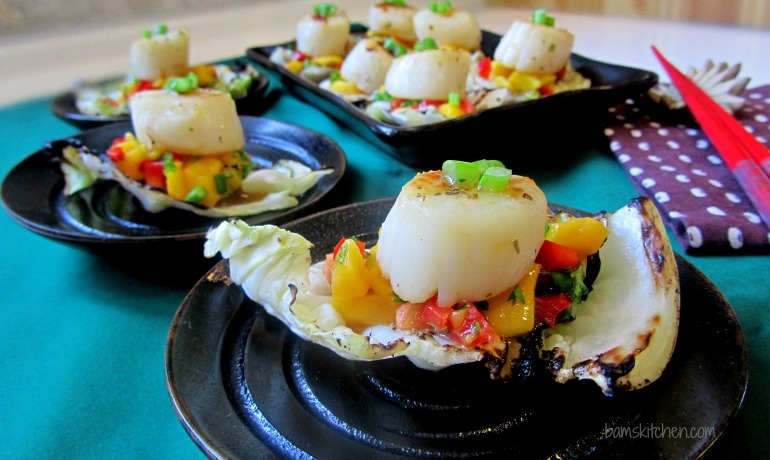 Sweet succulent Bay scallops nestled in a bed of sweet and tart mango salsa in grilled cabbage cups. 1Make the mango salsa: Dice up mango, red pepper, garlic chives, salt to taste and add lime juice and toss and set aside. 2Cut the cabbage in half and in half again (into quarters) and remove the inner core and separate the leaves. Depending on the size of your cabbage you will need 1/4 to 1/2 a small cabbage. Feel free to use purple cabbage or green cabbage or type you like. 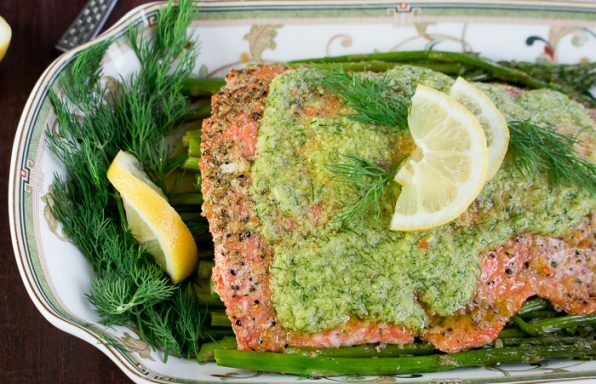 Drizzle a little olive oil on top and salt and pepper to taste. 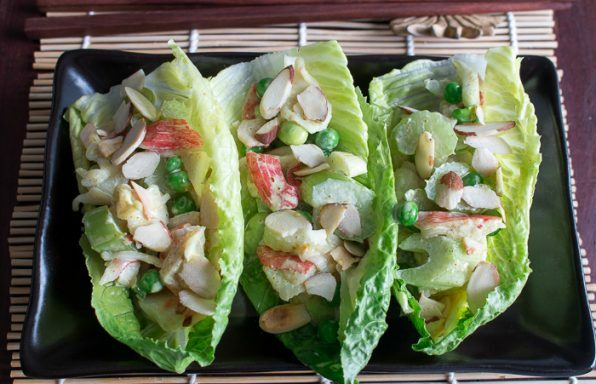 Grill individual cabbage leaves on each side for about 2-3 minutes or until the leaves start to turn golden brown. Keep warm and set aside. 3If you are using fresh scallops you will need to remove from shell, remove the frill, foot and any other non-white parts around the scallop. If you are using frozen scallops, you still may need to remove the little white foot, tendon, then just wash and dry your sea scallops really well. The drying part is the most important part as this step ensures that you will get a nice sear to your scallop. Season your scallops with salt and pepper. 4Heat up your iron skillet with canola oil to almost the smoking point and sear scallops on both sides for about 2 minutes just to get a nice sear and golden crust. 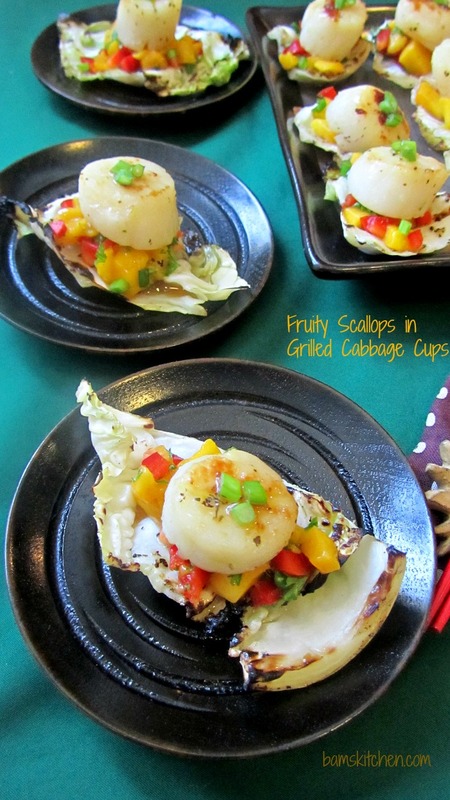 5Assemble your Fruity Scallops on Grilled Cabbage Cups. 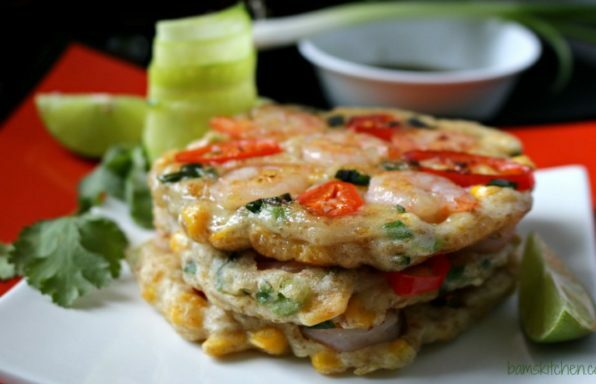 On a small plate, place one grilled cabbage leaf top with a teaspoon of mango salsa and then top with a seared sacallop. Garnish with garlic chives and repeat process for remaining scallops. Enjoy!